Welcome all to another Tru Bru Bear Club review. This month is another bumper pack with all 6 extra's picked again. We're packed full of a variety of different styles as usual with the highlight without a shadow of a doubt being Boatrocker's Ramjet! You may be thinking something along the lines of "April, what happened to March?" It's purely an administrative thing to get it all back on track after a couple of month's that took a little longer to put together than others. Anyway, the beer is still awesome so who cares! Enough preamble, it's time to crack into the beers! Holgate Tank Nine's Series has been a veritable gold mine of interesting beers. This Vic Secret Wet Hop IPA was no exception. This is another Single Hop IPA, they seem to be all the rage on Beer O'Clock Australia at the moment! Anyway I'm not a huge fan of Vic Secret normally, but this was a really nice IPA. It had really good bitterness and more fruit and less earthiness than what I expect of Vic Secret normally. This is a beer I would keep my eye out for again. Bridge Road Harvest Ale was the second beer up in this month's Bear Club. I doubt I'm alone in thinking this is the second best of the Bridge Road Harvest beers, behind Dark Harvest. This beer is packed full of citrus flavours and is very juicy. At 4.4% it's very easy drinking. Marin Brewing's Mt. Tam was initially not even on the list for this month's pack, coming in as a late replacement for the infected Croucher Pils. It's an American Pale Ale that I've never heard of from just North of San Francisco. The beer itself is very good, with a lovely caramel malt base setting the platform for the floral and orange flavours from the hops to shine. It's one to keep an eye out for if you love balanced Pale Ale's. 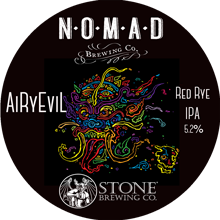 AiRyEvil is a collaborative brew from the world reknowned Stone Brewing Co. and Nomad in Sydney, headed up by Leonardo of Birra del Borgo fame and the Experience IT team (more here). This is my third time having it, thanks Anton, and I hope I can get my hands on some more. As the name hints at, there is plenty of rye in this beer, and it comes across in the form of that distinctive peppery spiciness. There's also plenty of hops! They more than hold their own against the cavalcade of flavour that is the rye! 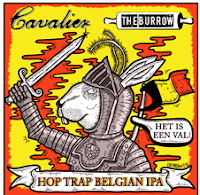 It's not one for the non-lovers of oily hops! It's an absolute favourite! Hopportunity from Behemoth Brewing is making it's first visit to Australian shores. It was a big chewy IPA that was loaded with Centennial hops. Accordingly there was so much resinous pine! It's very drinkable for 8% and is one that I hope becomes a regular out here. A special release from Mornington was next up. These very rarely disappoint, so I was genuinely excited for it! Russell Brown is a Belgian Brown Ale which had chocolatey and nutty characteristics. There was some hop bitterness but the star was the Belgian yeast at the back end. It's a wonderful beer and one I'd look out for. 7 Cent are a long time supporter of Tru Bru. 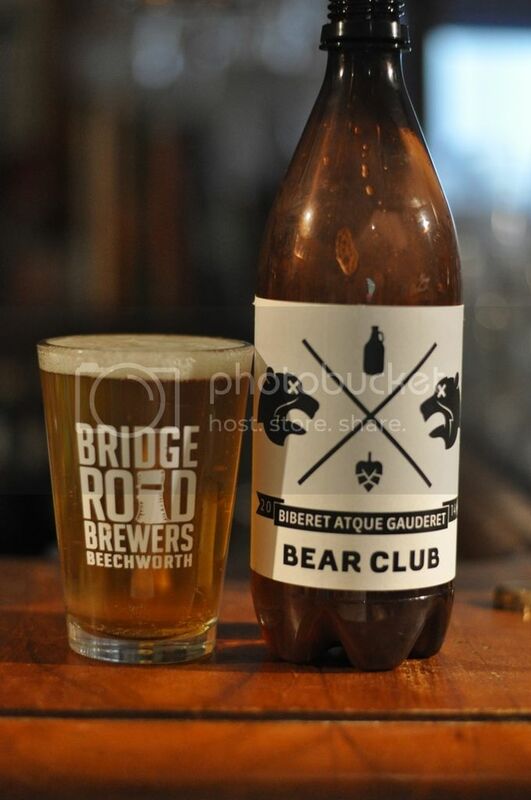 These guys from Gisbourne have produced an exclusive single keg IPA for the April Bear Club pack. It's an Imperial IPA called It's the Only Way, and it poured a particularly odd, very murky, brown colour. Despite it's unusual appearance it was a brilliant IPA packed full of bitter tropical fruit hops. MPA from Renaissance was next up. As mentioned in the most recent Untappd Catchup, I had this beer after a long night... However my mind is very clear on the beer. It was a beautifully balanced IPA, with sweet malts but more prevalent than I had imagined they would be. The hops were nice and bitter, with citrus and tropical fruits, particularly mango, very prominent. Another beer from Renaissance was next up; the Oak Aged Stonecutter. This beer I've had previously and was tremendously impressed by. Normally I'm not a huge fan of Oak Aged beers but this work brilliantly. It's got huge vanilla and wood characteristics and yet still tastes like a Scotch Ale. The finish is nice and dry and 750ml disappeared much quicker than I thought it would've. One of the last beers I had was one I was really looking forward to. 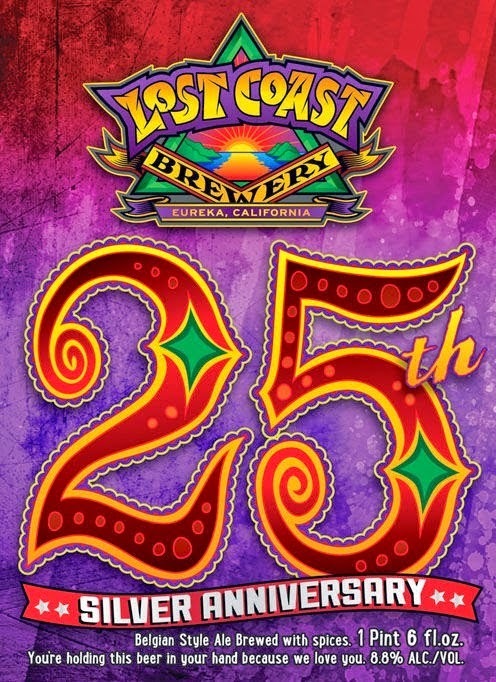 It's a Belgian Strong Dark Ale from Lost Coast Brewery for their 25th Anniversary. For the ABV (8.8%) I thought this beer was a little light bodied and the flavour was more reminiscent of a strong Hefeweizen with banana and cloves the most prominent flavours. It was quite different to what I was expecting. Last but certainly not least was Boatrocker's Ramjet. This beer is able to be summed up in one word; brilliant! It's a 10.6% Imperial Stout that has been aged in Whiskey barrels. This beer has won the Gala Choice award 3 years in a row! It's such a brilliant mix of creamy cocoa, light wood, vanilla and whiskey. It's a seriously complex beer and one that benefits from an hour or two in the glass. Stout lovers, if you haven't had this you MUST get it! The Tru Bru Bear Club is done for another month. The next pack I'm assured is imminent so in due course we will begin reviewing that. Once again I've ordered all the extra's, some of which may journey with me to Europe... If reading this review is making you salivate, make sure you give Anton a call and get in on the action! It'll be one of the best decisions you make!